Since moving into my flat last year, I'm always on the look out for pretty little nik naks to give it that homely touch. I can spend hours on Pinterest browsing away at homeware inspiration but often find a lot of it is WAY out of my budget. Luckily, I've found a lot of little gems recently that are easy on the eye - and your bank balance. Homeware is my favourite thing to shop for. I literally love wandering the aisles of Ikea and Dunelm Mill finding random bits and pieces to spruce my flat up with! 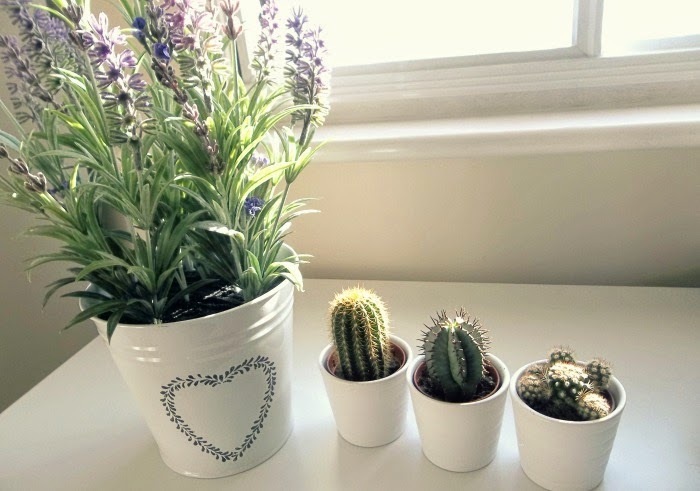 First up is some pretty little foliage in the form of cacti and a big, artificial pot of lavender. 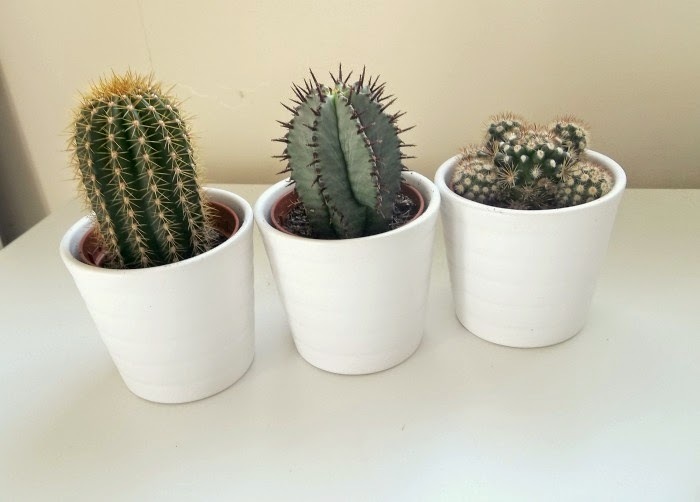 There's something about cacti that just looks so clean and fresh. They're easy to maintain, look pretty and presentable and are also a great prop for blogging photos. At less than a fiver, you can't really go wrong with this trusty little trio from Ikea. 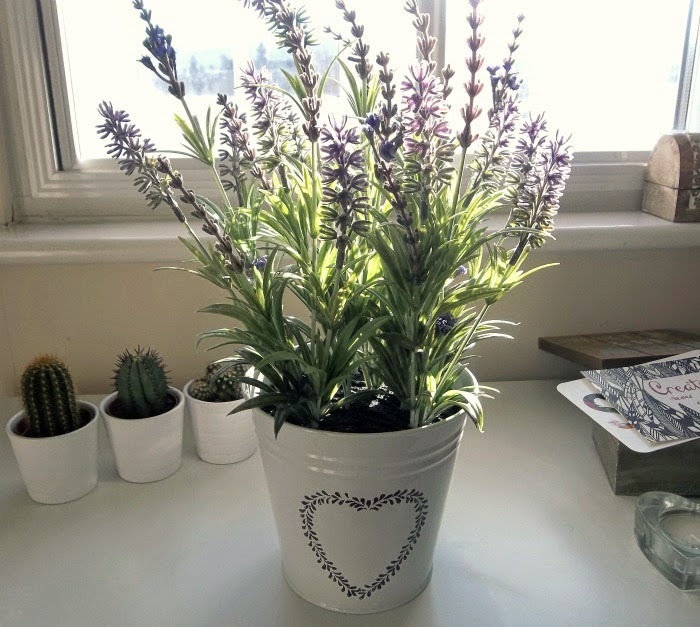 I snapped up this gorgeous artificial pot of lavender from the shelves of Sainsburys as soon as I saw it - I was even more impressed when I realised it was only £5! It's currently taking centre stage on my dining table and it really brightens the whole room up. 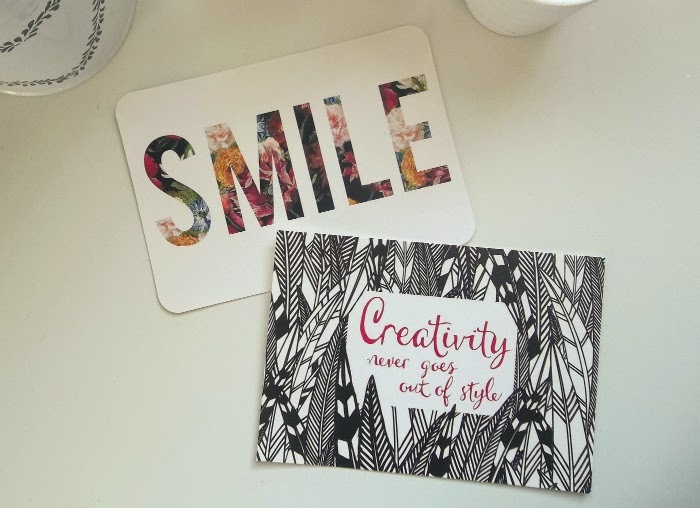 I recently discovered Paperchase's postcard range and I am officially obsessed. 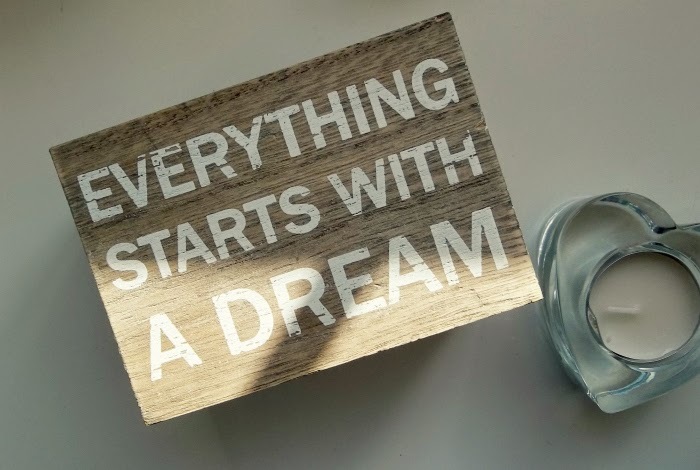 They have a huge range of random little images ranging from cute little quotes to scenic shots to some, ahem, ruder options that you may have seen featured on my Valentines gift guide last week. They're perfect for sticking on walls or putting in pretty little frames. What's better is that they cost just 60p each. I picked up this shabby chic style wooden box from the lovely Gifts & Pieces for just £3. I ADORE this shop and everything on there website is so affordable, making me love it even more. I use this to store my bobbles and hair grips and it just looks so pretty sitting on my dressing table. If you follow me on Instagram you will have seen my love for the Home Bargains mug range has been growing by the day. 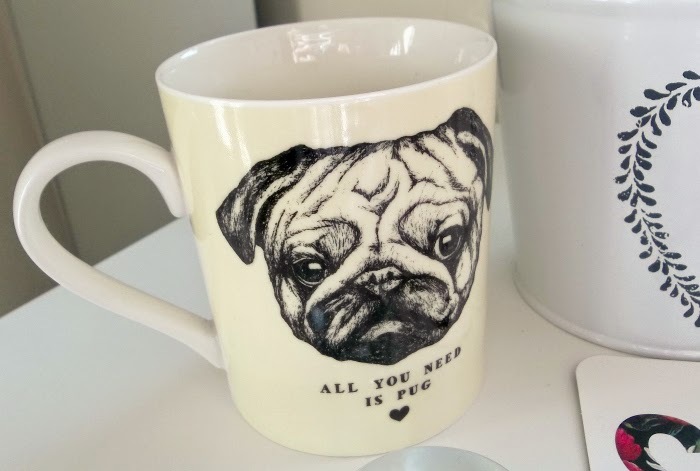 I picked up this pug mug for just 99p, at the weekend and I can't get over how cute it is. 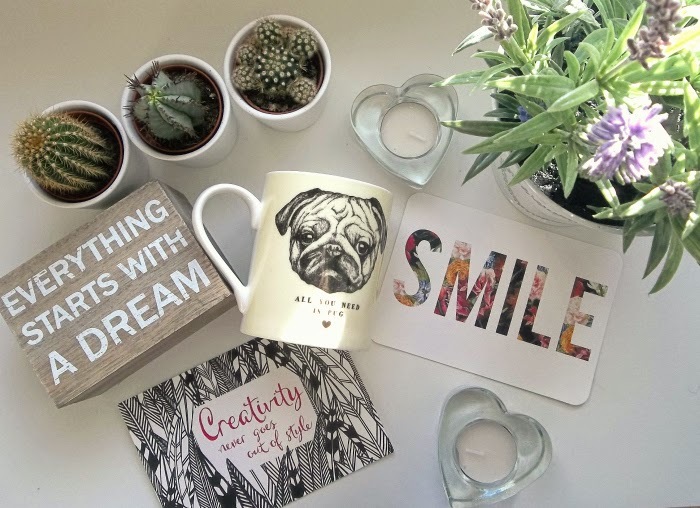 I also grabbed another 99p mug from there which features on my Valentines gift guide - here's hoping they add more to this super chic, yet super cheap, collection! Candles are an absolute essential in my flat. 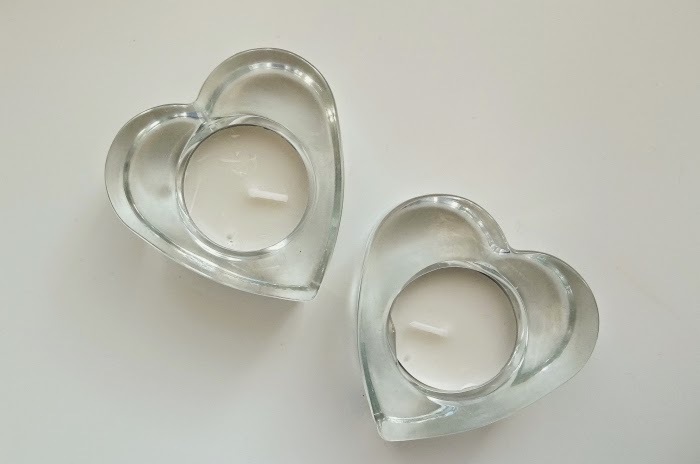 I have countless tealights dotted around and I'm in love with these gorgeous glass hearts my friend got me from Next. I know you can get similar ones from plenty of other places and I'm sure a set of them wouldn't cost much at all. Who needs £50 a pop Jo Malone and Diptique candles!? Will you be picking anything up from this post? How do you spruce your place up on a budget?